Love these Fill 'er Up stamps from Suzanne from Quietfire Design. I'm using 3 of the sets she's come out with to create the "JAVA" word. 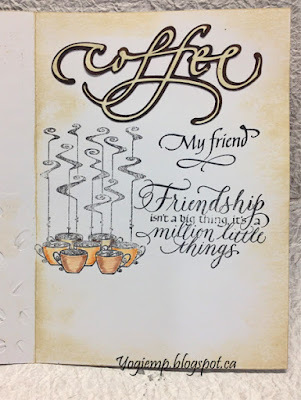 "Joy"; "LOVE"; "DAD"
I'm also using a Quietfire Design quote and sentiment stamp "My Friend" 4pce set and "Friendship Isn't..."
And I'm using one of Suzanne's Silhouette files "Coffee"
You have made such a fun card! 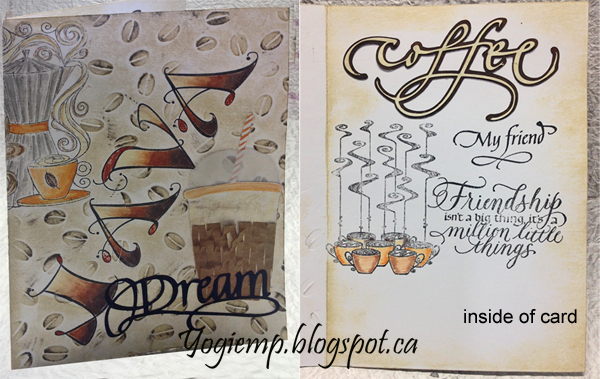 I love those coffee images and the bean embossing! Beautiful coloring on Java! 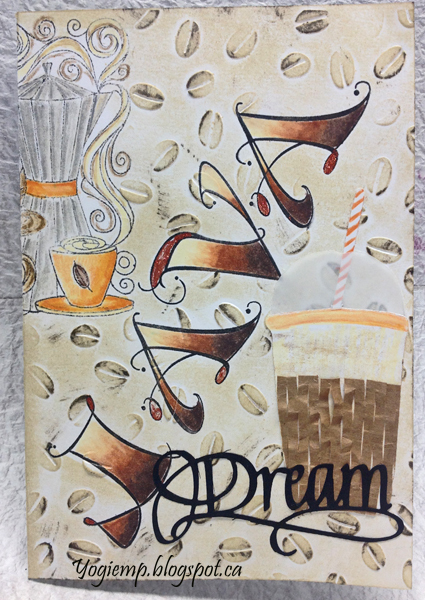 Thank you for sharing your lovely card with us at Scrapy Land for our Embossing challenge! Hugs! Love, love this! Don't know why coffee cards are so cool, but they are. This one is brilliant!